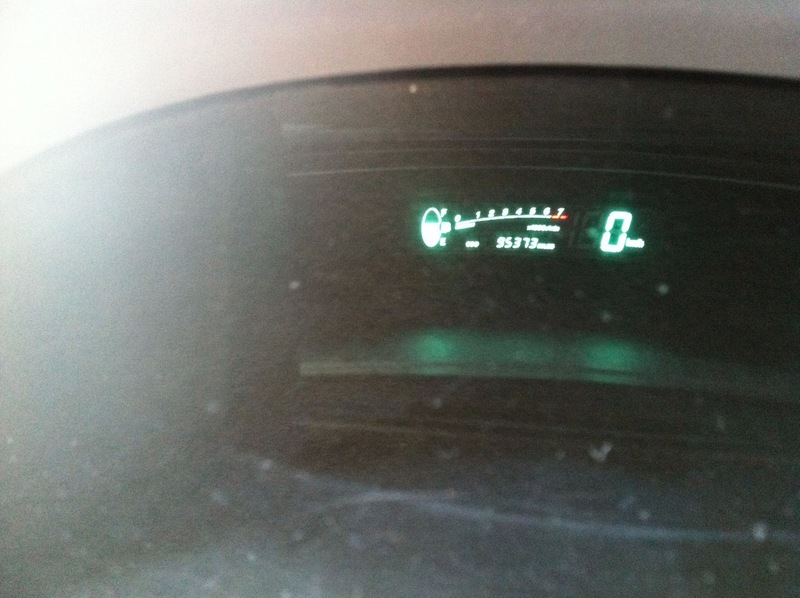 For the last year or so an orange engine error light came up on my 2001 1.0L Toyota Yaris. Even though the car seemed to run the same as normal, and was properly serviced, the small orange light kept nagging me glowing in the corner of the dashboard console while I was driving. Not wanting to pay for a garage to repair the fault, I decided to try and tackle the issue myself. 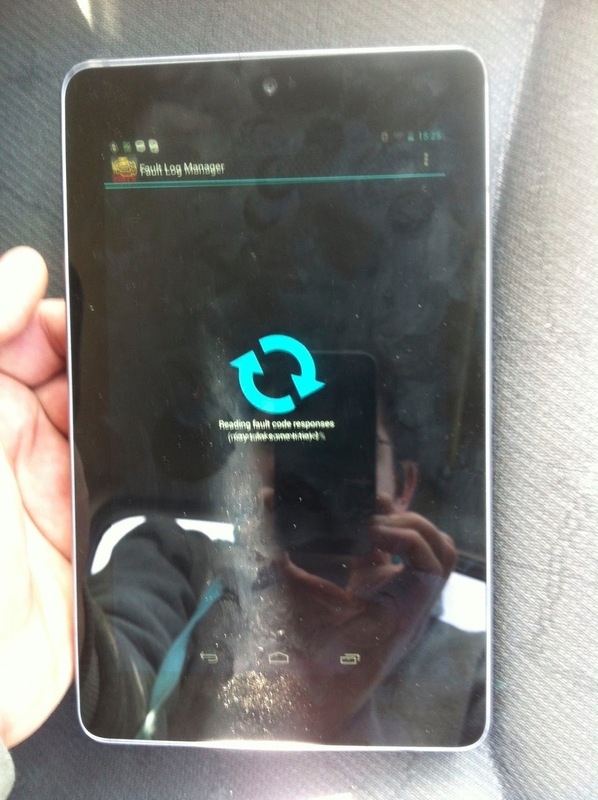 As I wanted to repair this fault the cheapest way possible, I went onto Ebay and bought a CAN to Bluetooth adapter for about 15 euros. 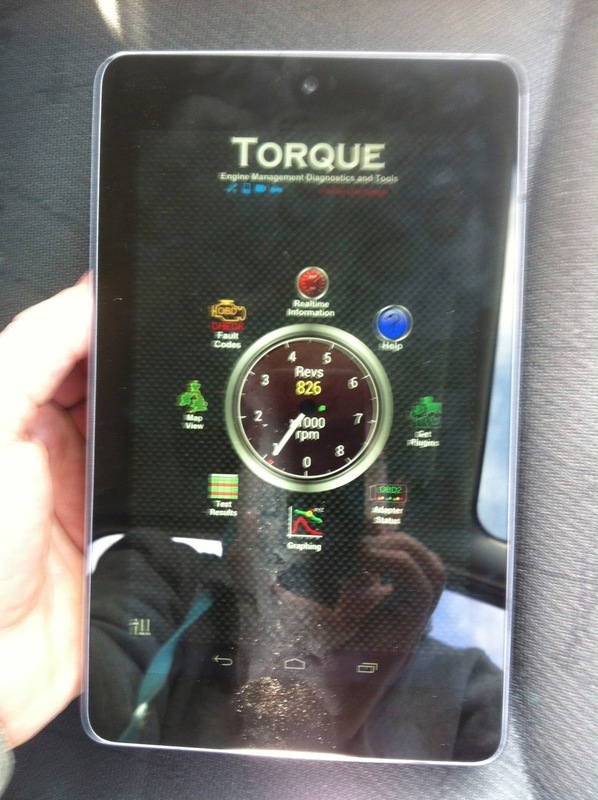 I also downloaded a great piece of software called "Torque pro" for my google Nexus Android pad that can interface with the adapter for reading and resetting error codes. 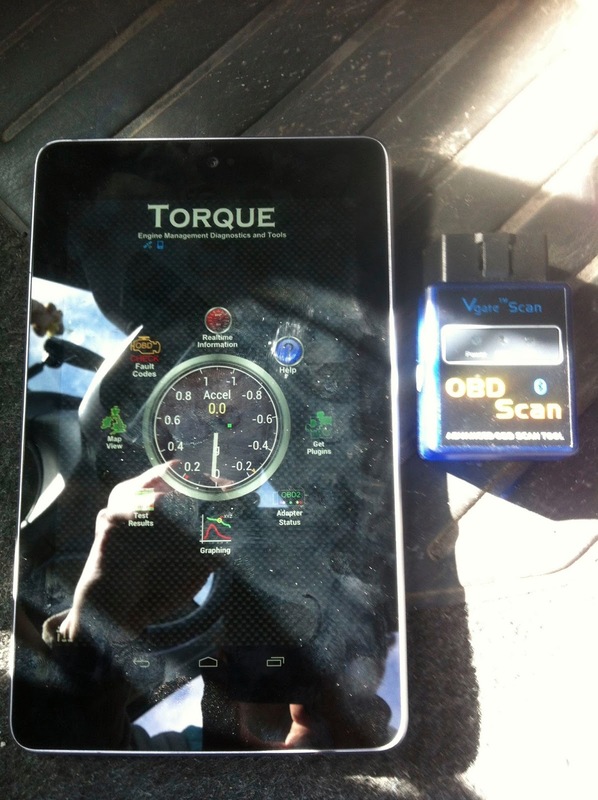 Plugging in the adapter into the OBD connector and pairing it with the Nexus, I was able to run Torque Pro and read the error code. 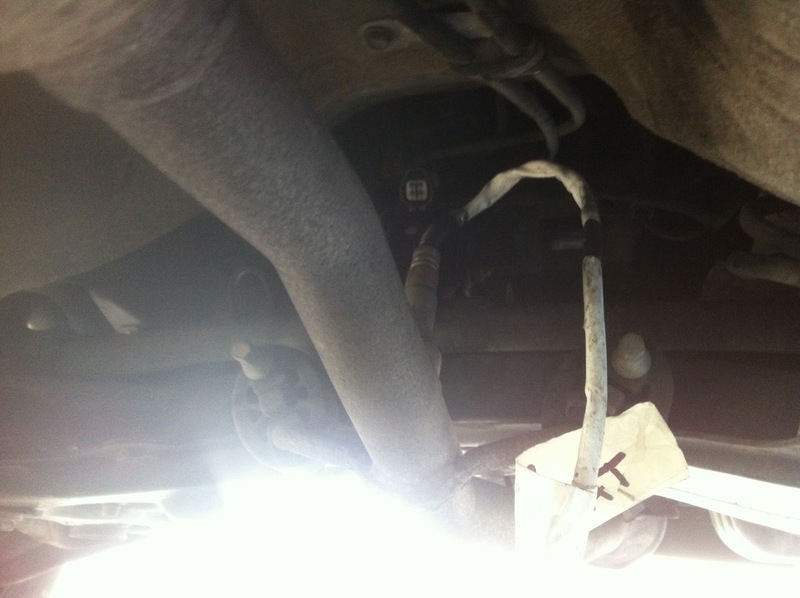 The code that was shown was "P0141 - Powertrain O2 Sensor Heater Circuit (Bank 1 Sensor 2)". 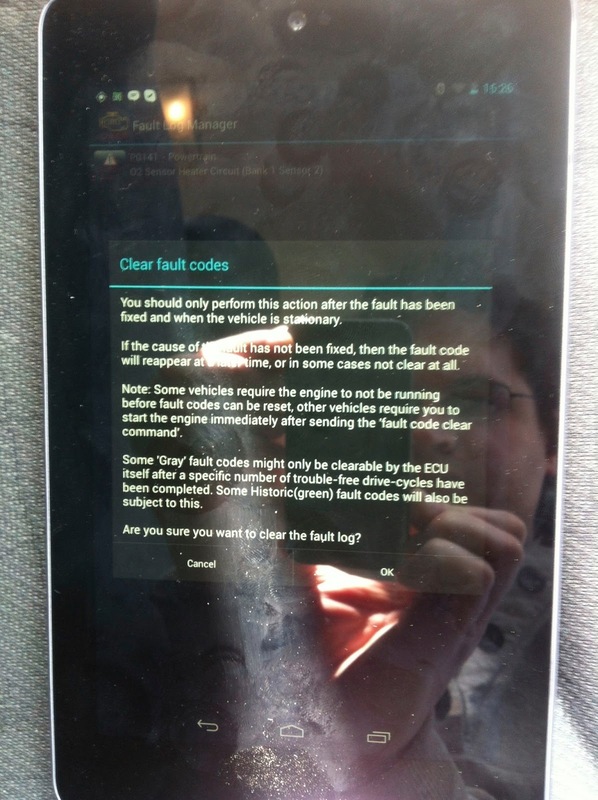 Googling this error code informed me that the Yaris has a two 02 sensor on the exhaust of the vehicle. One sits before the catalyst converter, and one after the catalyst converter to make sure that it is doing its job correctly. These sensors have an inbuilt heater that heats the sensor up to its correct working temperature when the vehicle is started. 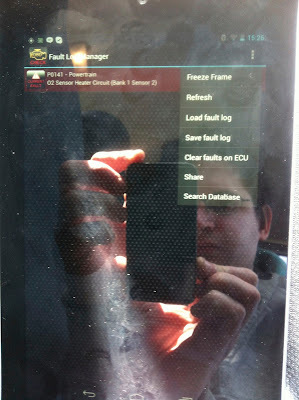 In my case, the sensor after the catalyst had burnt out its heater circuit leading to the error reported by the ECU. Using the "Haynes repair manual" for the toyota Yaris, I was able to successfully locate and remove the broken sensor. After another browse on ebay, I was able to source a second hand sensor for 30 euro, a much cheaper price than the 150 euros I was quoted for a new one from a toyota dealership. I replaced the O2 sensor and powered up the engine. Heater Circuit (Bank 1 Sensor 2)"
At first I was confused to still see the orange error code on the console of the vehicle. 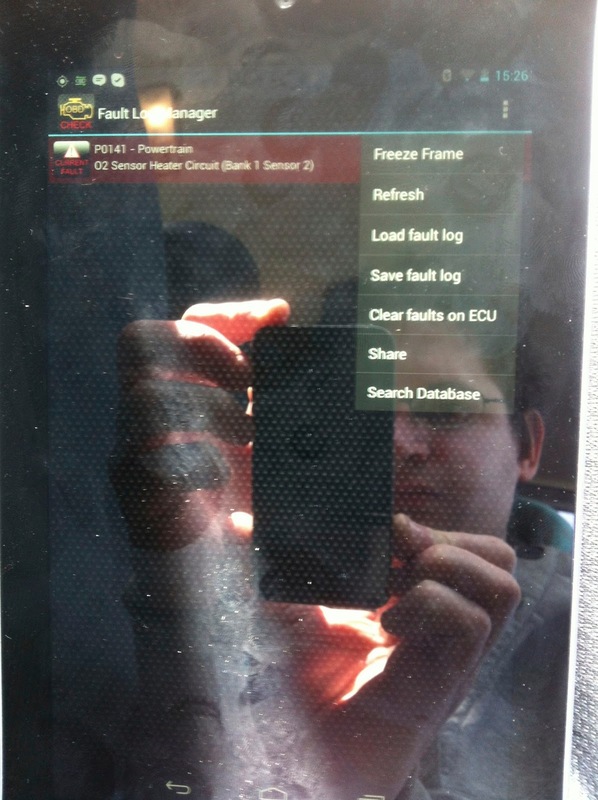 However, after a bit of playing around with the app on the nexus tap, I was able to find a menu to reset the error codes on the vehicle. 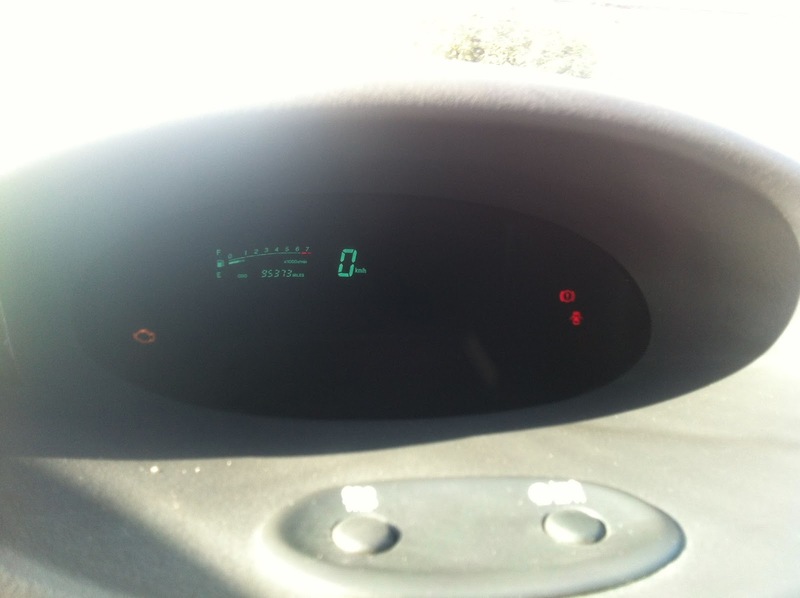 After turning the ignition of the vehicle on a off again, I was happily not greeted by the orange warning light. So all in all the whole operation cost me around 60 euros, as I just had to buy the CAN adapter, the android app, and the replacement O2 sensor. Not too bad a saving if I say so myself. Sorry from where you bought the sensor ebay???? Great article really appreciate it! 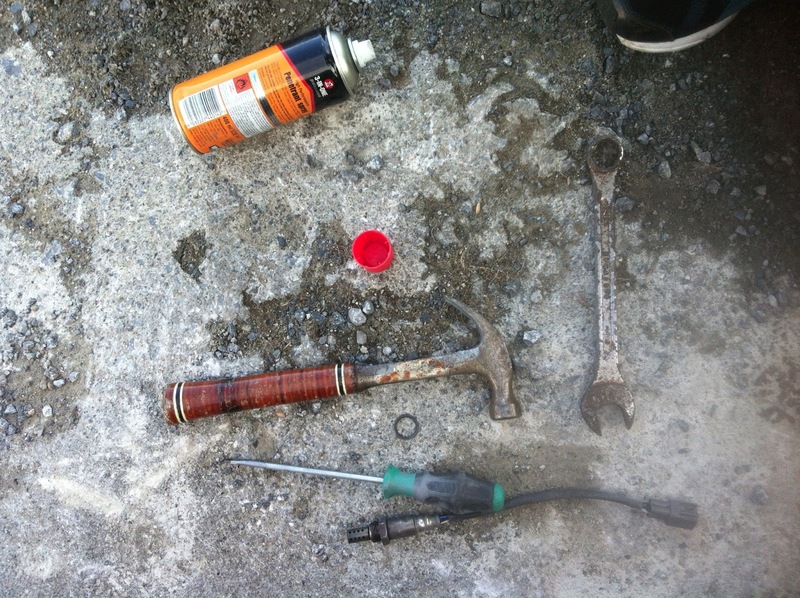 Had the exact same problem an I have been quoted £130 for the parts. This really helps for future problems! Effective post for cords and adapters so if you want any electric products to visit this blog. Wow very nice post its all information is really great and useful for me and other users.